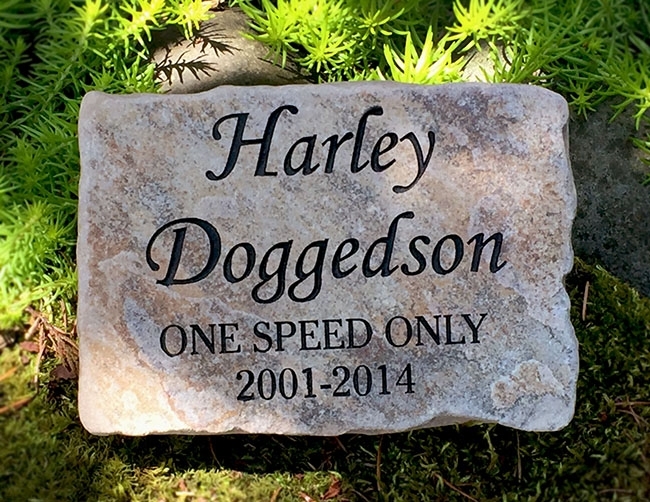 Sandstone pet memorials are 6" x 8" is size, all natural stones that have been cut and tumbled. 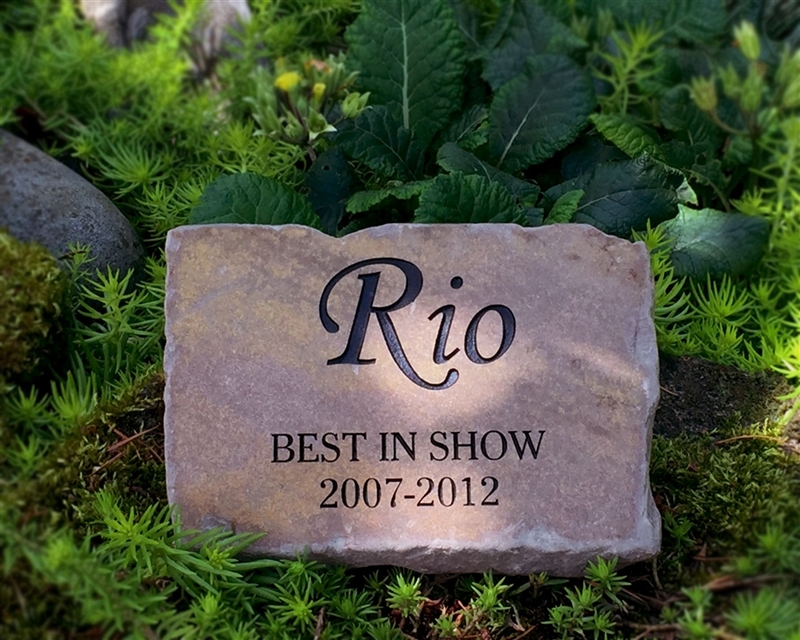 The sandstone sits flat on the ground adding a nice feature to any garden, and they are safe for outdoor display. You can customize the stone to however you like. Names, and a date with a graphic, or add a phrase. It is up to you. Feel free to call with any questions you might have. Sandstone pet memorials are 6" x 8" is size, all natural stones that have been cut and tumbled. 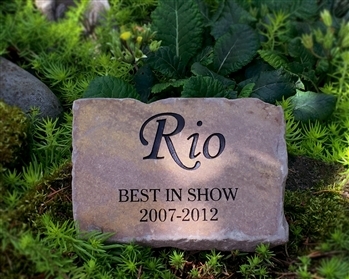 The sandstone sits flat on the ground adding a nice feature to any garden, and they are safe for outdoor display. You can customize the stone to however you like. Name and a date with a graphic, or add a phrase. It is up to you. Feel free to call with any questions you might have.